USA Today owner invests in company that is developing Thanksgiving.com domain name. Publisher Gannett Co., Inc, which owns USA Today, has invested in Grateful Ventures. The investment will be used in part to accelerate development of Thanksgiving.com, which it hopes to make a destination for holiday cooking. Grateful Ventures describes itself as “an online media and publishing coalition, focusing on building content and monetization strategies for high value domains”. It uses the domain Grateful.ventures. Thanksgiving.com was owned by Digimedia. In 2014 the Whois record switched to privacy. I have reached out to Jay to see if Digimedia is still involved with the domain name. Berryhill brings it home in ican.com case. John Berryhill has successfully defended Digimedia’s domain name ican.com in a UDRP brought by Galaxy Rainbow Limited in Hong Kong. …the Respondent registered the domain name in 1998 – ten years prior to the earliest evidence of a trademark registration presented in the Complaint. Accordingly, it is not possible for the domain name to have been registered in bad faith. 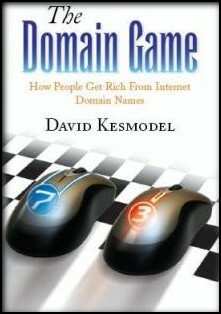 The use to which the domain name has been put during the last 15 years is discussed in the previous section. The Complaint uses the word “preemptively” to suggest that the Respondent had some sort of responsibility to know and predict future events, and that someone else would want the domain name in a dispute filed nearly fifteen years later. Are we seriously to believe that an adult of ordinary mental capability can make this accusation and expect to be believed, let alone a legal professional with a duty to exercise competence? The Complainant apparently expects this Panel to believe that the Respondent has psychic abilities to “preemptively” know the future actions of others, and registered this domain name in 1998 from its office in Oklahoma, because the Respondent knew that some unheard-of entity would claim trademark rights in Hong Kong in 2008. This type of nonsense should not be tolerated from grownups, and yet the Respondent has to address exactly this type of abject foolishness on a regular basis. duty of competence to know the basics of the Policy under which a licensed legal professional engages to practice. The panel copped out on finding reverse domain name hijacking.